Take an early look at the Fortnite Battle Royale Week 8 Challenges which gives us the task to Search between Three Boats (HARD). What 3 boats? The only 3 boats we can think of are the 3 in loot lake. Drop in to loot lake and land in the middle island which is located directly in the middle of the 3 small boats (which usually have loot). Search the entrance to the under-ground part of the middle island and you’ll find the Battle Star token worth 10 battle stars to your battle pass. It is located right near the dock/water at the entrance to the cave in loot lake. The other challenges can be found below. Search between Three Boats (0/1) (HARD) – Click here to find the 3 boats! Deal damage with Explosive Weapons to opponents (0/500). This includes C4, Rocket Launchers, Grenade Launchers, Guided Missiles, and Grenades. 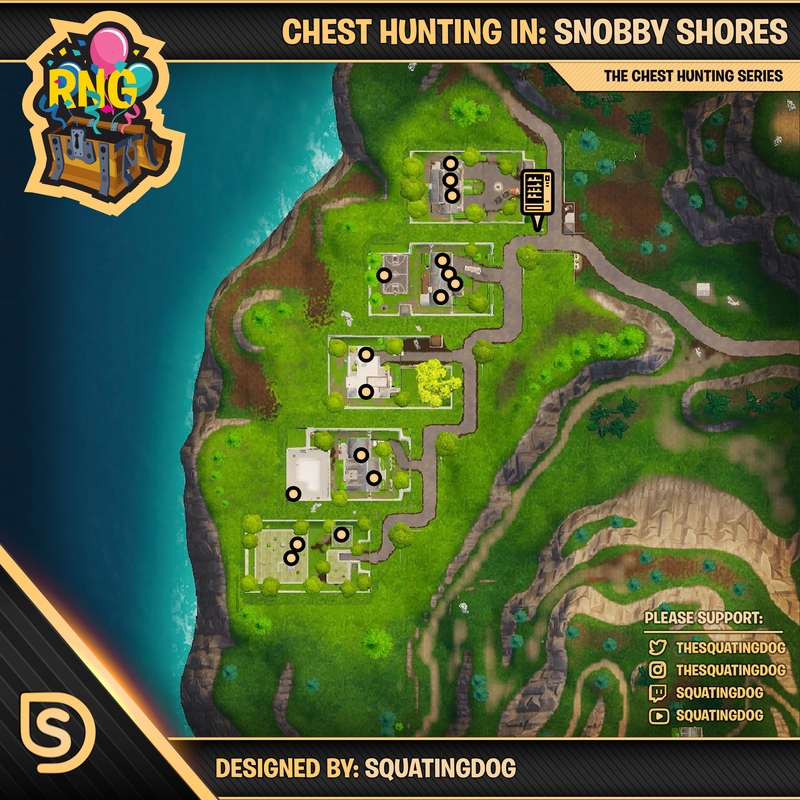 Search Chests in Snobby Shores (0/7). The house furthest south has a downstairs bunker, often with 2 chests. Visit different Taco Shops in a single match (0/3). The easiest route would be to land at the soccer stadium, get loot, and make your way to Tilted Towers (hopefully everyone is dead by now) visit the taco shop, and then head south to the shop above Flush Factory. If the circle doesn’t permit, pray you can make it to Retail Row or Tomato Town! This was included in the Week 8 *LEAKED* challenges, but I guess we will see this another week. Assault Rifle Eliminations (0/5) (HARD). Is it hard? Get some kills with an AR. Easy. Eliminate opponents in Dusty Depot (0/3) (HARD). This could be a pain, just because getting loot at Dusty at the start of the match is hard since there is barely any, however you could imagine we will see a lot of foot traffic through Dusty over the next week.